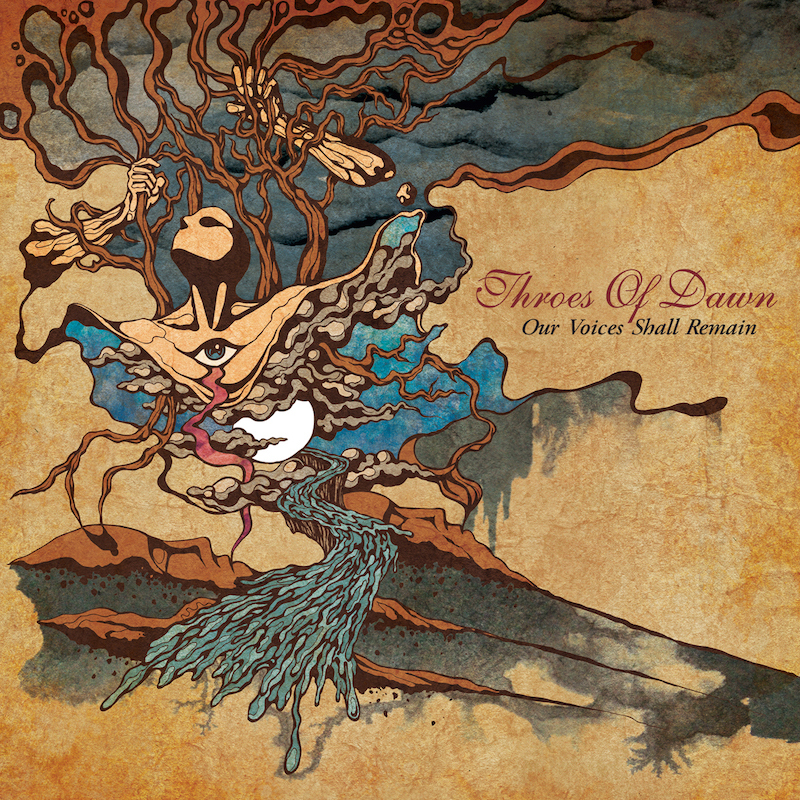 I finlandesi Post Metal/Prog Rocker THROES OF DAWN annunciano la collaborazione con l’artista COSTIN CHIOREANU (Ulver, Opeth, Arcturus e altri) per la grafica dell’atteso nuovo album “Our Voices Shall Remain”, in uscita su ARGONAUTA RECORDS il 20 agosto, in una lussuosa confezione a tre pannelli. La band dichiara: “Siamo estremamente soddisfatti dell’artwork realizzato da Costin. È sempre affascinante vedere come la musica venga tradotta in immagini e ci sembra che il lavoro di Costin rifletta la nostra musica nel modo migliore possibile”. I THROES OF DAWN suoneranno un release show il 20 agosto al DARK BOMBASTIC EVENING in Romania, con Dodheimsgard, In the Woods, Draconian e altri. 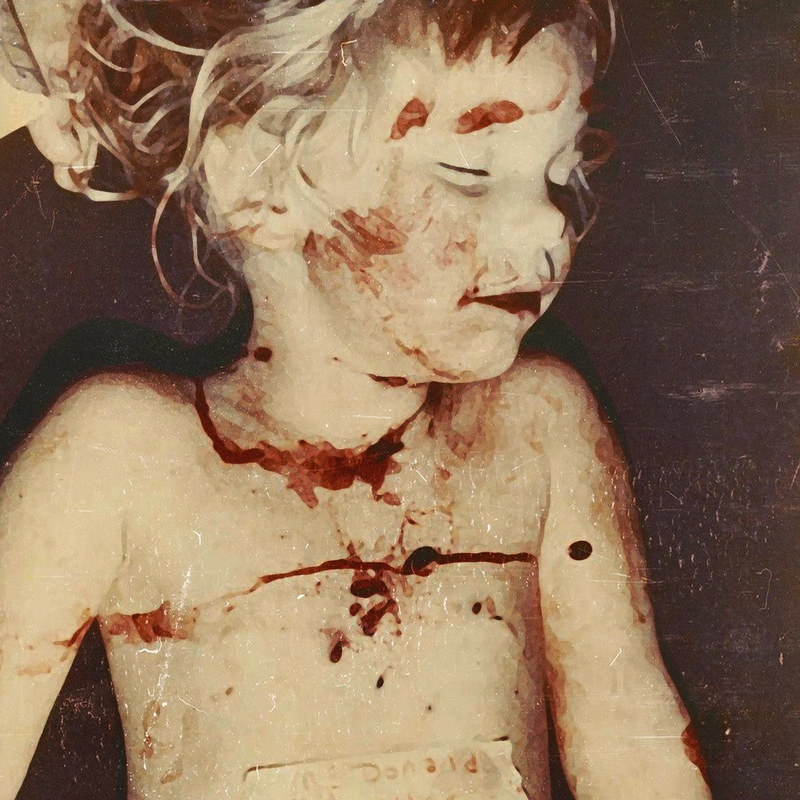 Canadian post-black metal shooting stars NUMENOREAN are unleashing the third skin-crawling song taken from their forthcoming debut album 'Home', which will be out in stores worldwide on July 22nd. Regarding the new song, NUMENOREAN comment: "Our fourth song 'Devour' lights the first real glimpse of hope on our new album 'Home', before everything is destroyed again with the final grandiose act and closing song 'Laid Down'..."
DEFILED are now unleashing their complete forthcoming crusher 'Towards Inevitable Ruin', which is slated for worldwide release on July 8th. 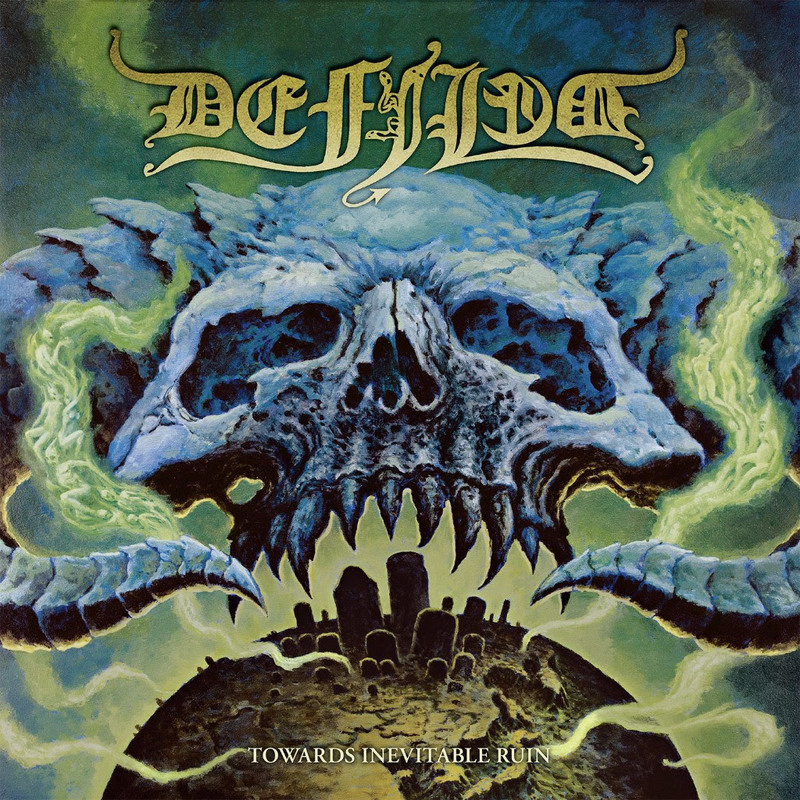 The album is exclusively streaming via Metalitalia. Mastermind Yusuke Sumita states: "“Finally our new album will be unveiled. We are very proud of our latest creation, which has taken a lot of time an effort. If you are still hesitating, now you have the chance to check out each and every track. Please keep in mind that this is just a stream on the internet and missing some of the fine details and dynamics that you will hear on the CD. Then again, if you like our songs, please feel most welcome to hit the purchase button. 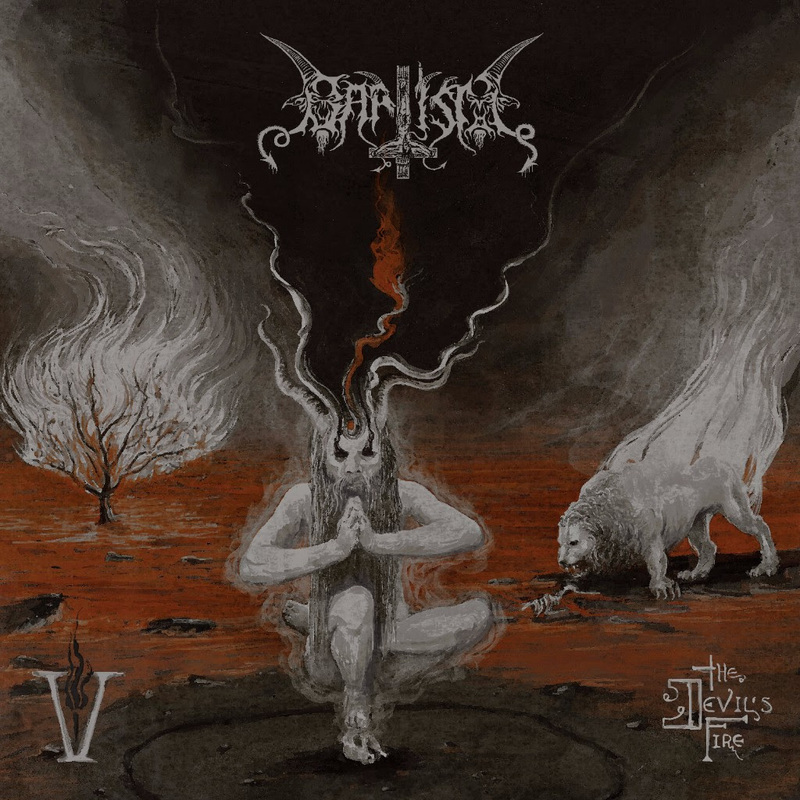 Enjoy!”"
BAPTISM are now revealing the third track from their forthcoming full-length 'V: The Devil's Fire'. The fifth album of the Finnish black metal underground veterans has been recorded at Fantom Studio and the release date scheduled to the 22nd of July. Frontman Lord S. comments on behalf of BAPTISM regarding their song: "The track 'Buried With Him' reveals a part of the spirituality of BAPTISM, our journey through the trials and conquests of this thing called 'Life', which is as much relating to 'Death' at the same time. Like much of the philosophy behind BAPTISM, it represents the Gnostic side of Satanism, the one holding the values of our true self. We all are buried along with the Master, the Light-Bringer, who dwells deep within man. This song features my old brother Antti Boman from the legendary DEMILICH and the lyrics have penned by our longtime spiritual-member Johannes Nefastos." Matias from Lamori talks about his band and new album. First of all, thank you for this interview. I'm very curious about your new album, because I really love this genre, so I want to know you better. LFdM: You come right from Åland Islands, is this right? If it’s true that artists take their inspiration from the environment around them, an island is sure a wonderful place. Mat: Yes, absolutely. Everything around you inspires you in one way or another. For us it's the dark gloomy days of winter that are the most inspiring for our music. You feel pretty isolated and away from everything when you are living on an island in the middle of the Baltic Sea during the winter. It's cold, it's dark and you don't see or meet many people. That's when creativity strikes, because there isn't really anything else to do (laugh). But we all love the summer. It's the best time of year and the best time to be on the island. LFdM: How was To Die Once Again born? Is there only one mind or more behind this album? Mat: The songs on the album are songs that we had been working on for quite long. Some of them are pretty old, from when we started the band back in 2009. Lost in Love and Palace of Pleasure are for example songs we only had recorded as old demos. When we signed with Wormhole Death last year and got the opportunity to do a professional album with them, we felt that we wanted to record these old songs "for real" and also do some changes in them. This way they would not be forgotten. And we are really happy that we did because those two songs turned out really great. Another old song on the album is Follow the Ghost. A demo version of it was recorded long before there even was any LAMORI. It’s partly inspired by the Guillermo del Toro film “El laberinto del fauno”. In a way it was this song that started LAMORI. So it was really nice we finally got to record it for real and get it out there. So the album is really a mix of new songs and songs that have been around for a while but that never really got the love that they deserved. The whole theme of the album is about losing all you got, to "die" of sort, and having to start all over. It's painful. But in the end it usually turns out better. Because you have all that experience and the knowledge from before, you know what it is that you actually want and what you do not need. And talking about the theme of the album, it’s a bit ironic, that while we were away recording the album in Italy, there was a fire in the house where we had our rehearsal studio back home. The whole place burned to the ground. Not only did we lose our rehearsal studio, but also all our gear. So yeah, we lost it all and had to start from the beginning when we came back home from Italy. Now we have a new rehearsal studio and new gear, so in the end it turned out pretty good. LFdM: We have already experienced the combination between the melodic and the aggressive sides of metal with many bands that made the history of Finnish music scene. What fascinates you the most: the music, the lyrics, or is it something more intimate? Mat: What’s fascinating is that Finland is such a dense country when it comes to rock and metal bands. Here we have this country where you can walk down the street in a city and not see a single person during the winter. But we have more metal bands than any other country in the world. LFdM: How much have you worked on this album? Mat: We have worked quite a lot on this new album. As we mentioned before, some of the songs have been in the works long before the band even was started. But the planning of the album began pretty much directly after we had finished our first album Deadly Desires back in 2013. But then again it wasn’t really before we were contacted by Wormhole Death about the record deal that we really started to shape it and choose what songs should be on it. Also as this is the first professional album we have done with a record label it has taken some time to get used to the whole process. Now we know how it works, so hopefully it won’t take three years to release the next album (laugh). But really, the process has already started for the next album so we hope to have that out soon enough. LFdM. What is the best way to write texts like yours? Mat: Have your heart broken and watch a lot of old horror movies (laugh). That probably has something to do with it. And the long dark days and nights we have during winter. But as of yet there hasn’t really been any “best way” to write. But when you have experienced something that really leaves a mark on you, then it’s somewhat easy to get those feeling into words. It’s harder to make stuff up and make it sound believable. LFdM: In your opinion, what is the song that represents you the most? Mat: Until Death (Do Us Part), that song feels like a pretty good presentation of LAMORI. It packs a punch, the lyrics are about love, horror and dread and it has that diabolic middle part in it with a lot of metal influences. LFdM: I think you are aware of a certain resemblance to HIM, in the positive sense of course, but could this affect the judgment of the public? I mean, in terms of originality. Mat: It’s pretty hard for a band in this music genre coming from Finland not to be compared in some way to HIM. They are one of the biggest bands this country has ever had and they are pretty much synonymous with the type of gothic inspired rock/metal we play. We all grew up listening to their music. It pretty much is in our veins. 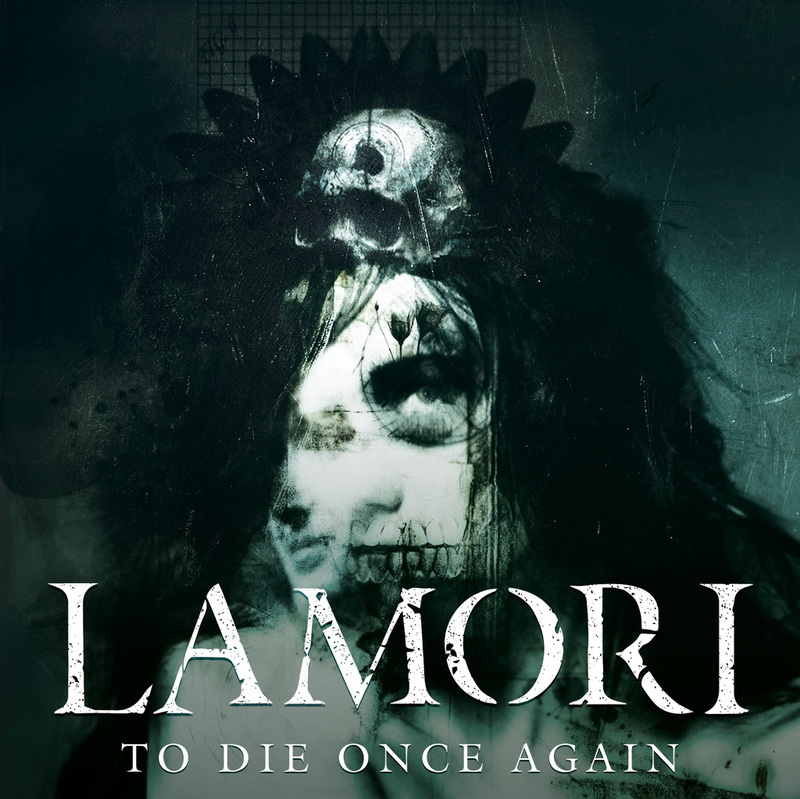 A lot of inspiration for starting LAMORI came from HIM. And yeah, you can hear that in our music. But of course we want to have our own sound and not be recognized as “that new Finnish band that sounds like HIM” (laugh). And we feel that we are moving more in that direction. As we said before this album is a mix of old and new songs. The older ones have maybe a bit more tendencies to be influenced by HIM. Songs like Until Death (Do Us Part) and Wicked Little Things on the other hand are more of a telling of what is to come in the future. Those two songs with for example Palace of Pleasure will give you a feel of the direction LAMORI is heading. LFdM: More and more, I see young promising bands not able to get out of their country. Aside from the internet which is a great outreach tool, don’t you think that it would be necessary to tour more? Mat: Yes. That is pretty much how you survive as a band these days. Almost no one buys records anymore and the profits from streaming services aren’t helping much. You have to play gigs. But then it’s a bit of a paradox as you won’t get any gigs if no one knows who you are, so to get a fan base you have to play more gigs, but you won’t get those gigs because you have no fan base and no one wants to book you. It all boils down to contacts, and that’s why it is still important to have good label by your side. LFdM: What are now your next events? Mat: We have a gig at a local rock festival this weekend, so we have been quite focused on that. Then we have all the new material for the next album to go through. So we’ll be keeping ourselves busy. LFdM: Oh good, so we keep in touch! Thanks again. Season of Mist are proud to announce the signing of KONTINUUM. The Icelandic wave influenced ambient rockers will release their next full-length on this label. Regarding their signing, KONTINUUM comment: "We are very pleased to announce our signing with Season of Mist. To us it is important to work with people that we connect with. People that relate to our creative output and vision. 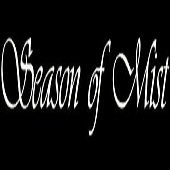 This is why we look forward to our future cooperation with Season of Mist." KONTINUUM were conceived with the aim to create hypnotic and spiritual musical noise in Reykjavik, Iceland in the year 2010. After sending demo tracks of their debut album 'Earth Blood Magic' to a few labels, a first deal was quickly struck. KONTINUUM wasted no time and entered SIGUR RÓS Sundlaugin Studio in the Icelandic town Mosfellsbær in order to begin record their first full length, which was released in 2012. 'Earth Blood Magic' received rave reviews across the board and was voted rock album of the year in Morgunblaðið, Iceland. The band played numerous shows in 2013 and established a reputation as a powerful live band. 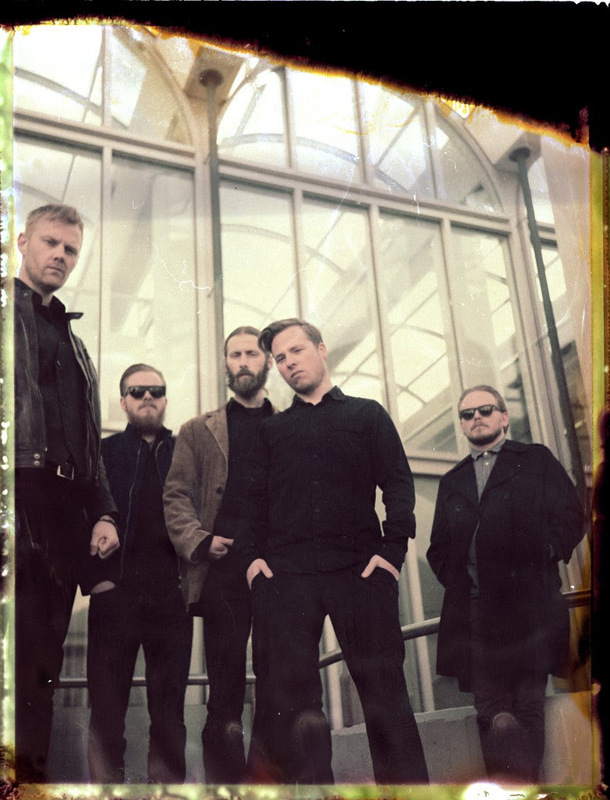 KONTINUUM started working on their sophomore album in 2014. A first single titled "I Huldusal" was released the same year and received substantial radio play in Iceland, while even topping the charts of the island's largest alternative rock radio station. 'Kyrr' hit the stores in April 2015 alongside the brand new single "Breathe". Following the release of their second album, KONTINUUM embarked on two tours in Germany and performed at several festivals including the prestigious Roadburn Festival (Netherlands), Eurosonic Festival (Netherlands), Icelandic Airwaves and Eistnaflug Festival at home, and Lituania's Devilstone Festival. Se vi dicessi che il folk celtico condito da una spruzzata di punk rock ha preso l'aereo e si è trasferito in Svezia, mi credereste? In effetti siete liberi di non farlo, anche io all'inizio pensavo di aver letto male, invece è tutto vero e vi basterà schiacciare il tasto play del vostro stereo per accorgervi che non sto scherzando: i Sir Reg sono davvero svedesi (almeno la maggior parte di loro), ma Modern Day Disgrace racconta una storia ben diversa, fatta violini concitati, mandolini allegramente impazziti e melodie ebbre di una tradizione diametralmente opposta a quella del grande e freddo Nord, ma forse non così lontana e distante come ci si aspetterebbe. Il lavoro fatto in questo quarto album in studio è davvero pregevole, ricco e corposo, caratterizzato soprattutto da una più puntuale ricerca di quella radice musicale che permea tutto il disco capace di dare alla band una vera e propria connotazione nel panorama musicale, inquadrandoli alla perfezione in un genere, incasellandoli e regalandogli un'identità che forse nei primi lavori non sembrava essere ben centrata, ma che adesso è più chiara che mai. La voce di Brendan, l'unico irlandese della band, volato in Svezia per coronare il suo sogno di dar vita a questa spumeggiante band, fa da collante con il resto del gruppo in cui spicca senza ombra di dubbio la vivacità e la grande accuratezza tecnica di Karin, il cui violino disegna serpentine folli e pazzesche che sembrano voler spezzare il due l'archetto, ma che alla fine esplodono in un tripudio di note grandiose che abbracciano l'Irlanda e la Svezia. Tutti i componenti del gruppo ha portato in questo disco le sue influenze e il proprio background, ulteriore dimostrazione di come le differenze possono unire e non dividere nonostante sembrino, almeno di primo acchito, così distanti da sembrare inconciliabili. Questo lo spirito che riecheggia in ogni traccia: diversità come unione, intervento del singolo sulla scia del cambiamento, inni e grida di pace alla riscoperta di un mondo che può essere migliore se solo ci si sforzasse di renderlo tale non solo con le parole, ma soprattutto con i fatti. E di fatti qui ce ne sono tanti, tutti distinguibili e mirati verso un unico obiettivo: far capire che i difetti ci sono ovunque, ma che è l'unione a fare la forza... la stessa di questi sei ragazzi che si sono trovati, forse perfino cercati, e che grazie alla passione hanno tirato fuori un gran bel messaggio fatto di musica. 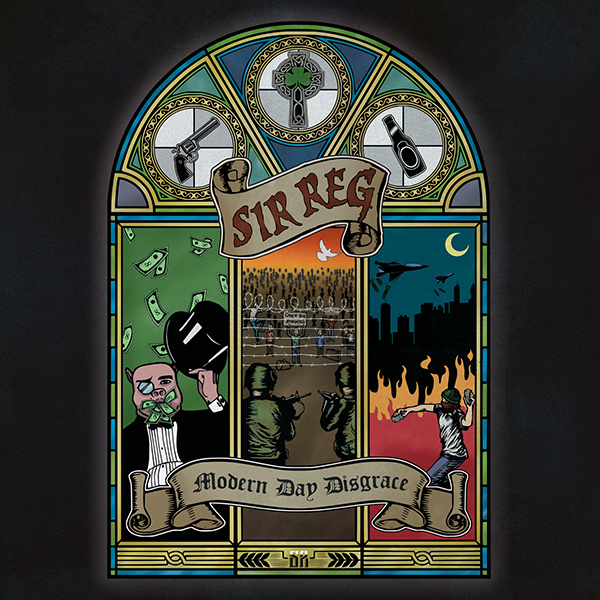 In uno scenario che non può esimersi dal paragone con i Flogging Molly, Modern Day Disgrace riesce ad emergere senza alcuna paura o imbarazzo, tra ballad nostalgiche come Won't Let You Cry, canti da pub nello stile di The Wrong Bar che invoglia ad alzare al cielo una pinta di birra aggiungendo la nostra voce al coro e pezzi energici e grintosi, tra cui spicca senza ombra di dubbio la frenetica Boys of St. Pauli... un vero tripudio d'Irlanda, sotto il cielo della Svezia. New Binary Division double album incl. Aesthetic Perfection RMX! 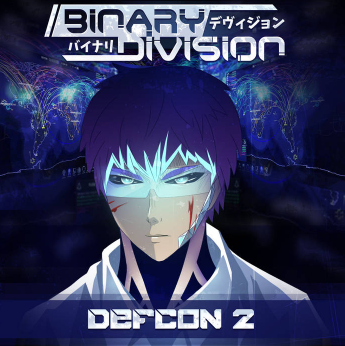 BINARY DIVISION releases its long awaited double album "Defcon 1" and "Defcon 2"! "Defcon 2" contains 8 new tracks which will start an emergency state on the dancefloors, be ready for a massive beat attack! Its evil twin "Defcon 1" is a remix CD with 18 remixes from AESTHETIC PERFECTION, RUINIZER, CUTOFF:SKY, SERAPHIM SYSTEM or Simon Carter from STUDIO-X and of course his label mates from SYNTHATTACK and SUPPRESSOR are present too. The defense readiness condition (DEFCON) alert state is launched, the only way to survive is to dance! 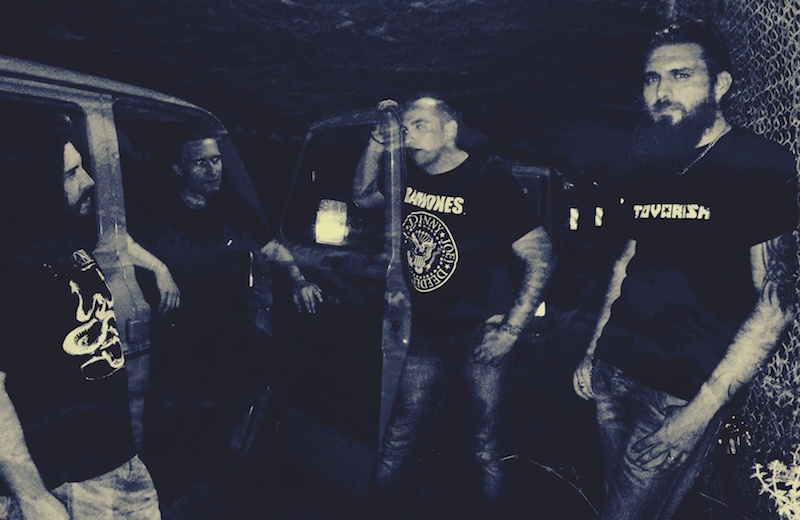 I Noisecore/Post Metaller italiani INFECTION CODE hanno realizzato il video della canzone “Martire”, tratta dall'EP “00-15. L'avanguardia industriale” pubblicato a novembre 2015 festeggiano il 15° anniversario della band con questo nuovo video! Le Nervosa sono un trio femminile proveniente da Sao Paulo, in Brasile. Fondate nel 2010 dalla chitarrista Prika Amaral, hanno pubblicato un demo di 3 pezzi nel 2012 che è valso loro un contratto con la Napalm Records. Forti di una solida reputazione live, che le ha viste di supporto a band quali Exodus, Raven, Artillery e Ratos De Porao, le nostre hanno esordito 2 anni fa con un album intitolato “Victim Of Yourself” di notevole violenza sonora, all'insegna del thrash old school. 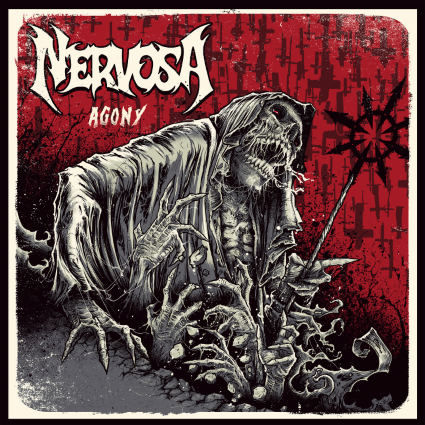 Con questo “Agony” le Nervosa accentuano ulteriormente la loro furia, e ci consegnano un lavoro che non fa prigionieri. Inevitabili le influenze dei conterranei Sepultura (in particolare quelli del periodo pre-“Arise”) ma anche di Slayer, Kreator e del violento speed metal dei primi Razor. La voce di Fernanda Lira è pura carta vetrata, mentre il drumming di Pitchu Ferraz è semplicemente devastante in brani quali “Arrogance” e “Theory Of Conspiracy”, songs caratterizzati da repentine accellerazioni e riffs vorticosi. “Agony” è un lavoro piuttosto omogeneo, senza brani che spiccano sugli altri, ma è d’obbligo citare ”Hostages”, dagli imprevedibili cambi di tempo, e le Slayeriane “Deception” e “Devastation”. Un discorso a parte per la conclusiva “Wayfarer” che parte come uno stralunato blues, si trasforma in un potente speed-thrash e si conclude con una serie di vocalizzi alla Janis Joplin!! 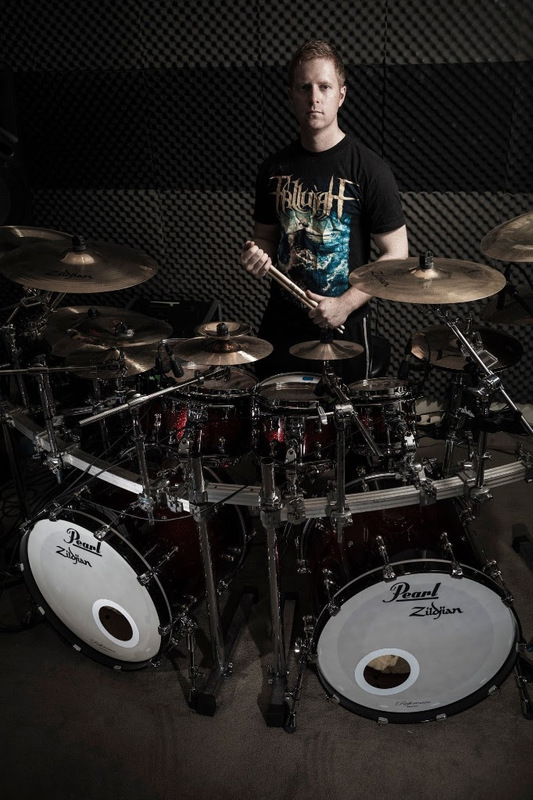 NE OBLIVISCARIS' drummer Dan Presland has released a stunning drum play-through video of the epic track "Painters of the Tempest", taken from the Australian dark progressive band's latest full-length 'Citadel'. The clip is streaming at the official Dan Presland YouTube video channel at the link below. According to Dan, the video comes without any cuts or edits, and features an all natural drum sound. 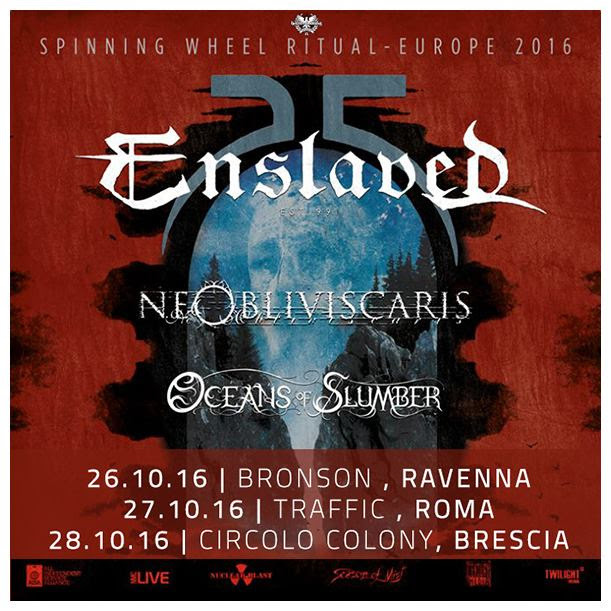 On further news, NE OBLIVISCARIS have recently announced headlining shows in Ireland and the UK to complement their European support tour with ENSLAVED. The Australians will be joined by OCEANS OF SLUMBER in the British Isles as well as on the continent. 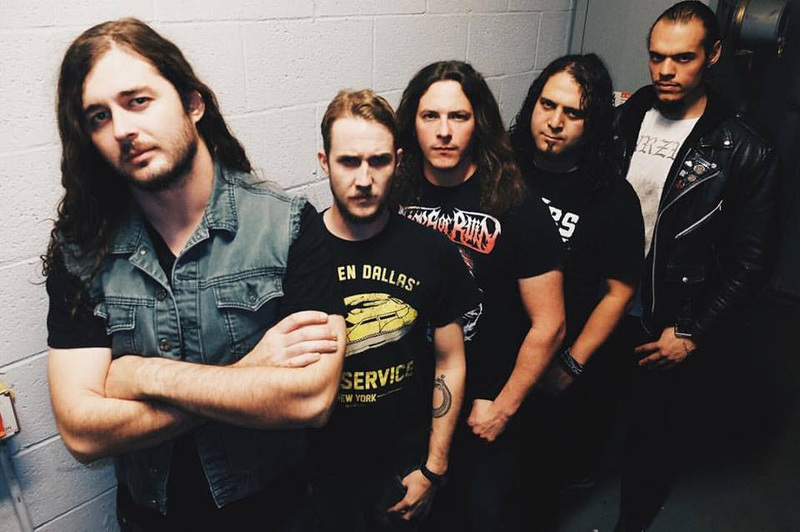 WARBRINGER - Sign To Napalm Records! Napalm Records is proud and honored to announce the signing of US Thrash Metallers WARBRINGER! Started in 2004 by High School fellow metal heads, the members of Los Angeles’ own WARBRINGER have made their way up through the metal scene. 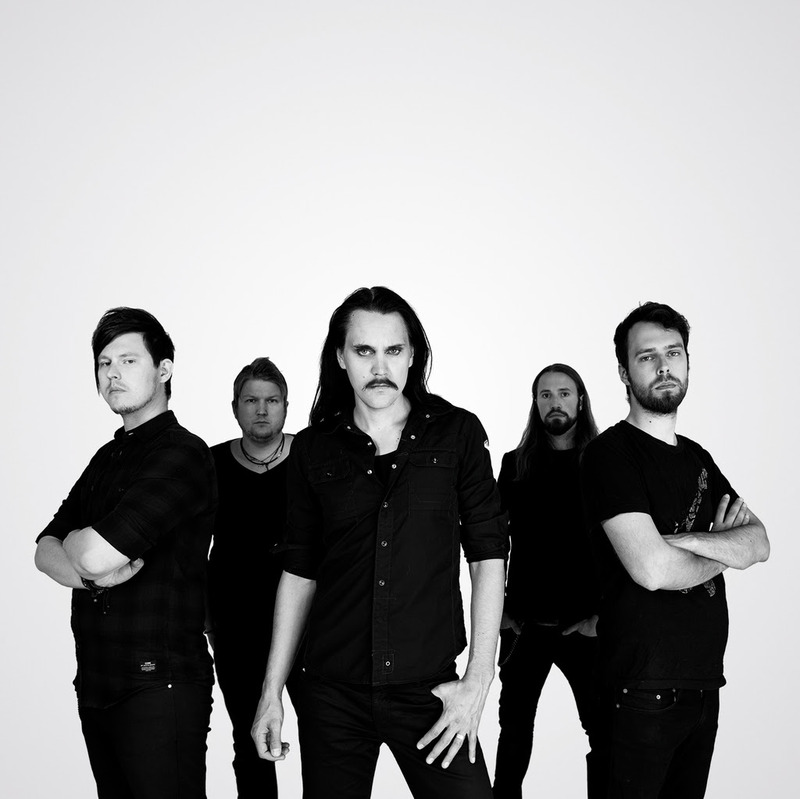 After four releases and an endless succession of tours with the likes of Arch Enemy, Exodus, Suicide Silence, Megadeth, Napalm Death, Iced Earth, Kreator to name just a few, this hard working five-piece is ready to take the next step together with Napalm Records. "We are excited to announce a new record deal with Napalm Records! We have been writing for the last couple months, the riffs are flowing and the new material is sounding goddamn lethal. We are planning to record at the end of summer and release it early next year, followed by a full worldwide touring campaign. The writing is being led by longtime members drummer Carlos Cruz and guitarist Adam Carroll, as well as myself, and we are being joined by Chase Becker on the lead guitar and Jessie Sanchez dropping the bass-hammer. I've been on a mission to make this record for three years since Empires... was released, and it's great to see it finally coming to fruition. Thank you all the people at Napalm Records for their interest in theband, and thank you to the fans for your continued and undying support, We'll see you out there next year. The band is currently in the studio recording their upcoming masterpiece. Stay tuned for more info! Simulacrum Doubles Their Vocal Power! As Yngwie J. Malmsteen could comment on the recent line-up change in the Simulacrum camp; More is more! 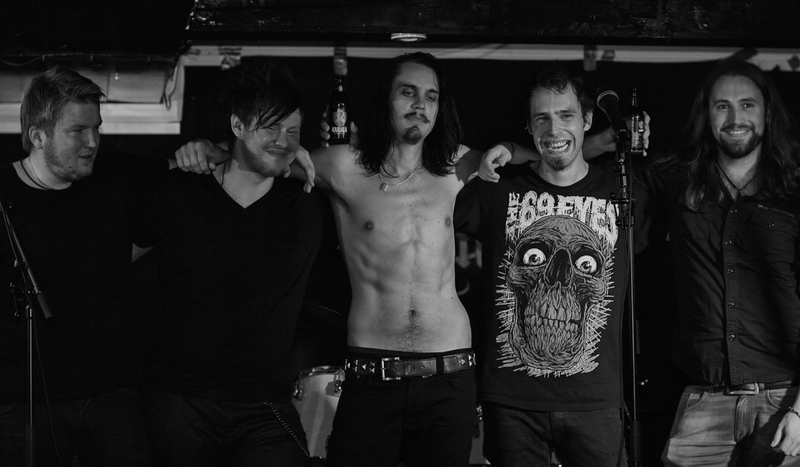 Simulacrum warmly welcomes vocalist Erik Kraemer as an additional singer to the band. His singing style will be a great asset both live and on the next studio album that is currently being written and is heading towards the modern realms of djent. Even though Erik represents the high pitched traditional power metal sound, the coloring of his voice differs from Niklas' in a way that lets them both shine and it is easy to spot which one of them is singing on the songs. 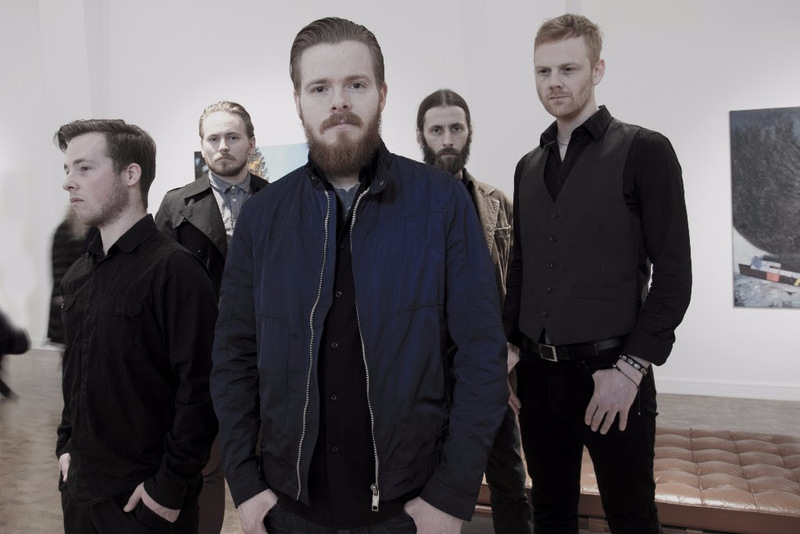 Simulacrum released their second album "Sky Divided" in August 2015 via Inverse Records. I DREAM THE ELECTRIC SLEEP offrono in download gratuito attraverso il loro sito (http://www.dreamtheelectricsleep.com) la canzone "Black Wind". Il nuovo disco, Beneath the Dark Wide Sky, prodotto da Nick Raskulinecz (Foo Fighters, Mastodon, Rush, Jimmy Eat World, QOTSA, e altri), verrà pubblicato il 22 luglio. Il 2016 segna il decimo anniversario dei DELAIN e del loro symphonic metal! L’ultimo EP Lunar Prelude pubblicato pochi mesi fa è stato solo l’antipasto poiché ora la band svela la portata principale: il quinto album in studio del gruppo olandese si intitola Moonbathers e verrà pubblicato il 26 agosto su Napalm Records! 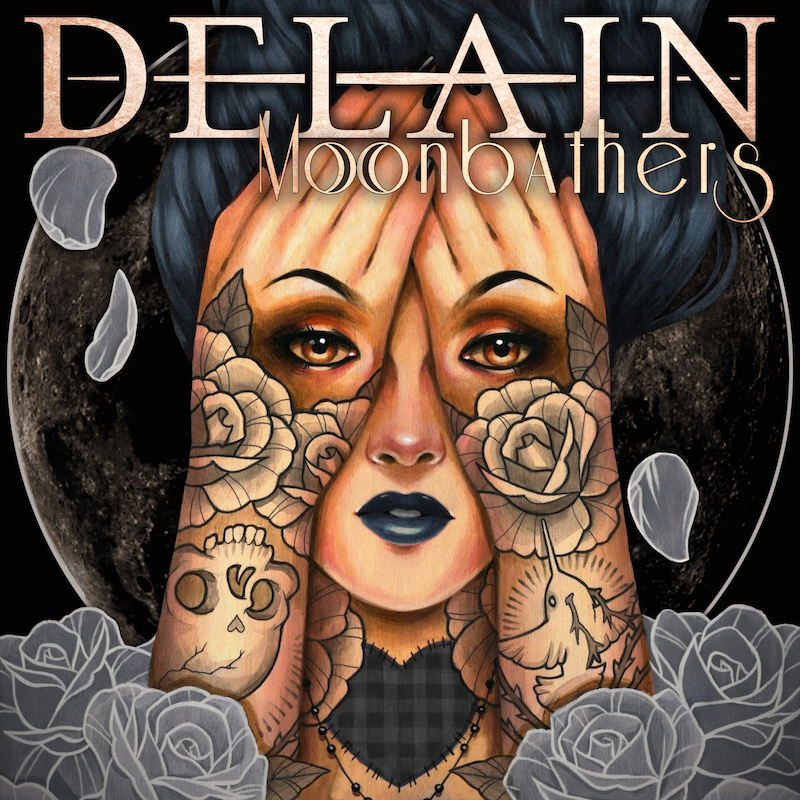 I Delain dichiarano: “Non abbiamo mai avuto tanti eventi da festeggiare in un solo anno: la pubblicazione del nostro EP Lunar Prelude, il nostro quinto album Moonbathers, le celebrazioni per il nostro decimo anniversario e le registrazioni dal vivo, e tanto altro deve ancora accadere in un anno in cui saremo principalmente in tour. Tutto gira per il meglio e ci auguriamo che vi piaccia il nostro nuovo lavoro e che vogliate essere accanto a noi per rendere il 2016 il miglior anno di sempre per i Delain!”. Moonbathers, masterizzato dal vincitore di un Grammy award Ted Jensen sazierà la fame degli amanti della grandiosità sinfonica mescolata a parti melodiche e a una sana dose di metal: tutti elementi per cui la band è ben conosciuta. Il disco mette in luce i lati più stravaganti e sensibili dei DELAIN attraverso una variegata tracklist che contiene anche una sorprendente cover dei Queen e la partecipazione di Alissa White-Gluz nel brano di apertura “Hands Of Gold”. L’artwork è stato curato dal collaboratore di lunga data Glenn Arthur. Sono arrivati al loro secondo full length ed alla notorietà con enorme facilità. Prodotto dei Fantom-Studio di SAMU OITTINEN (Insomnium) e pubblicato per Inverse Records, Aspirations & Reality è il nuovo album dei Finlandesi Arkadia. Chi ha dimestichezza con la Scandinavia sa benissimo quanto lavoro ci sia dietro ogni singola band che esce da quelle terre. 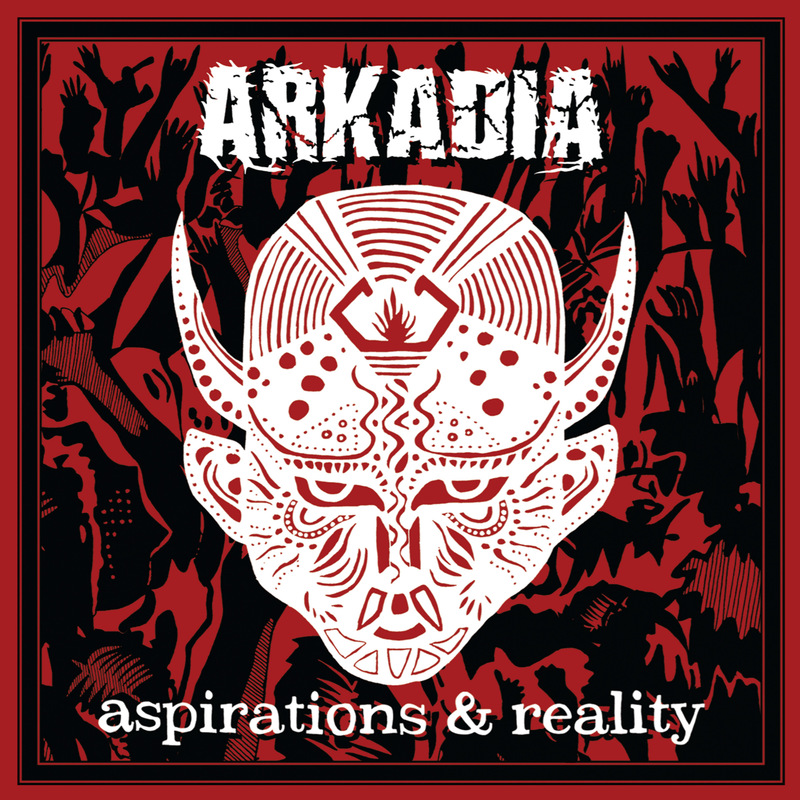 Gli Arkadia non fanno eccezione. Portandosi dietro un bagaglio musicale vastissimo ed introdotto da un giro di basso che richiama il leitmotiv principale del brano, la title track apre le danze mostrandosi subito spavalda e cruenta, lanciando in scena un bellissimo tappeto musicale ricco e denso. Batteria e chitarra fanno il resto, ricordando a tratti la linea cupa dei Sentenced e quella dinamica di Arch Enemy, mentre la voce ha un effetto diretto e tagliente. Benché non abbia momenti veramente memorabili, l’interno album dimostra una solida produzione ed un lavoro portato avanti con grande determinazione. "Spitting Image" inspessisce l’aria con l’ingresso di chitarre molto più viscerali e distorte ed una linea armonica che ricorda moltissimo i Drak Tranquillity di The Gallery. Musicalmente parlando il disco è molto carico, le ritmiche consistenti e trattenute per conferire un senso di aria sinistra e profonda. Nel complesso i finnici hanno messo a segno un lavoro veramente superlativo che merita tutta la nostra attenzione ed approvazione. 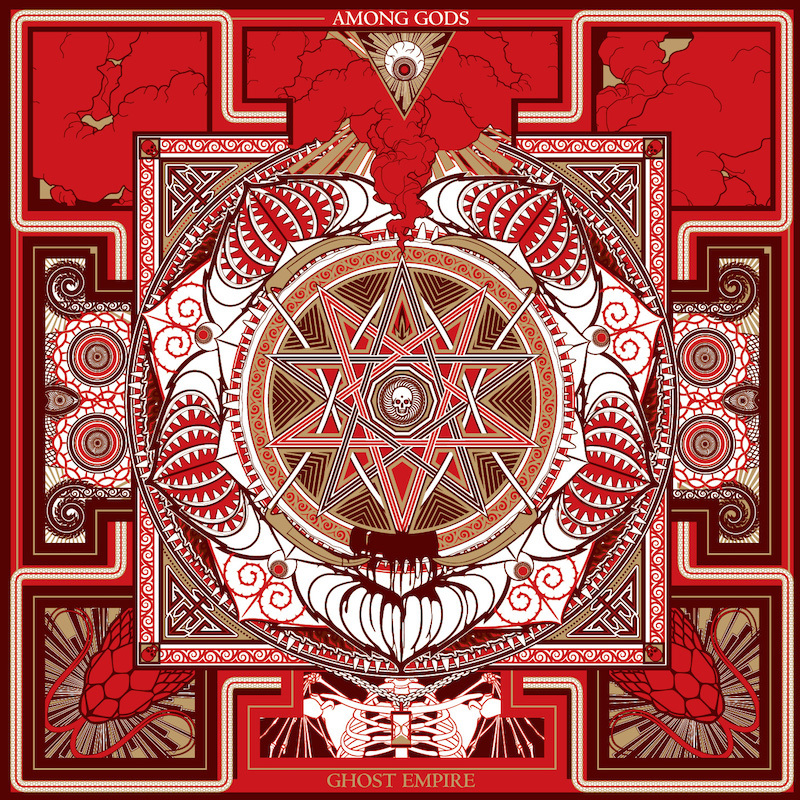 PARADISE LOST - sign with Nuclear Blast! 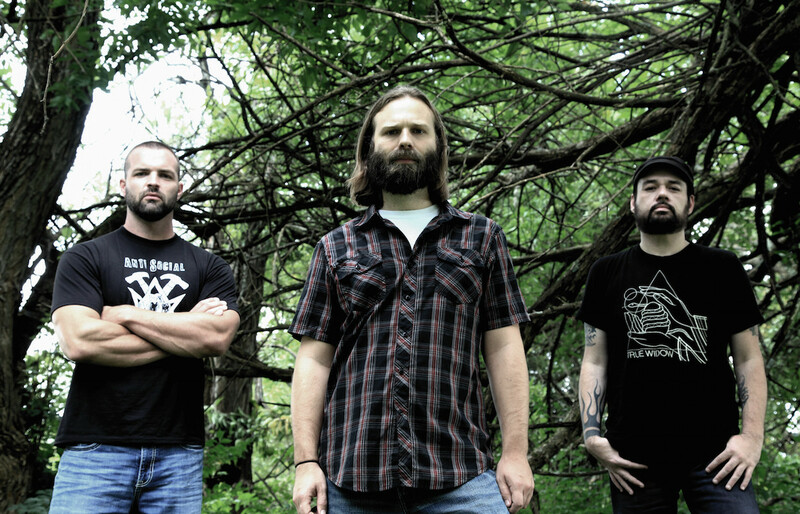 Zephyra signs to Inverse Records! BEHOLD THE RETURN OF MUSTAN KUUN LAPSET! OPETH - sign to Nuclear Blast! Rotting Christ premiere new video "Apage Satana"
ALTER BRIDGE sign with Napalm Records! MONKEY3 – Announce First Album Details! ALESTORM – Signs Contract In Rum!